For most of a half-century career Bing Crosby had the best-known and arguably the best-loved voice in the world. He ascribed his popularity to having the sort of voice that any man could aspire to when singing in his bath. But he possessed excellent intonation, superb diction and a sense of timing equalled by few. And there was his unmatchable versatility. He sang just about every type of popular song pre-rock ‘n-roll; country, comedy, Hawaiian, Irish, carols, operetta, ballads, straight forward pop… But his own great love was jazz of the pre-bop era, and his mastery of jazz-phrasing and wonderful sense of rhythm permeated his work in every field, giving his singing a lift and freshness that put him ahead of any rivals. There was too in his singing a feeling of intimacy - he seemed to be singing just for you. This came about in part because he was one of the first singers to master the new fangled microphone which came into use at the end of the 1920’s. Bing had vocal power and volume to spare, but now he could use the softest pianissimo if he chose rather than the unrelenting fortissimo that earlier performances had necessarily to adopt. 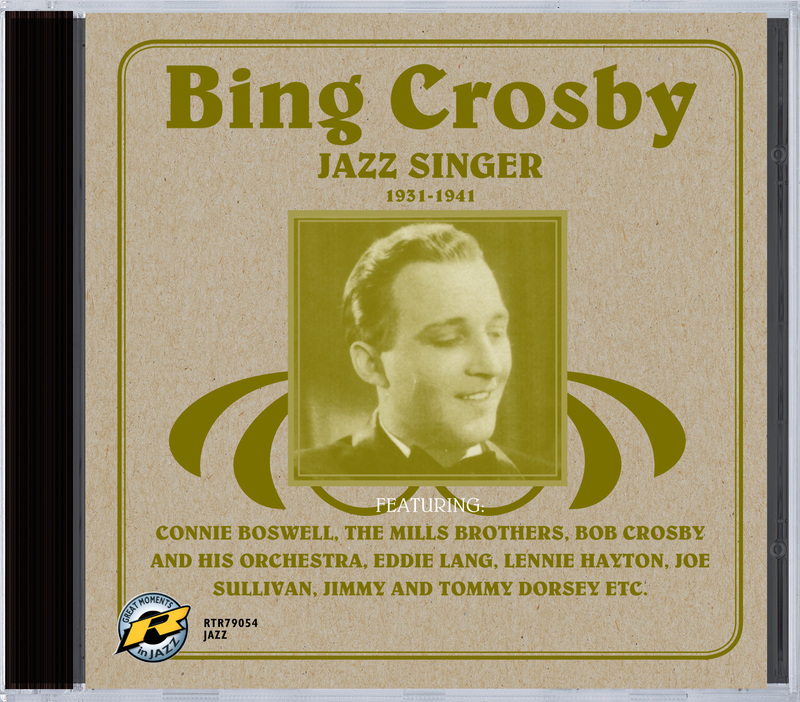 It was due to Decca boss Jack Kapp that, from 1934 on, the amount of overt jazz in Bing’s output was radically reduced. From a commercial point of view, Kapp was probably right in causing Bing to diversify and thereby become, in effect, the voice of “everyman”. It was also at Kapp’s instigation that Bing recorded more and more in tandem with many other name artists - all in an effort to keep variety in his output and avert any dull sameness. One has to admit, that it worked. What we lost in pure jazz was outweighed by many charming and delightful performances in other genres. But, no doubt to that large majority of listeners today, who only know the Bing Crosby of “White Christmas” or “Swinging on a Star”, the idea of him being a jazz singer at all, let alone one of the most important of all time, sounds strange. Frank Sinatra - yes, accepted by the intelligentsia as a jazz singer. In fact, great though Sinatra was, his jazz chops could never match Bing’s and were far more a matter of Nelson Riddle’s very clever arranging than any inherent ability of Frank’s in that direction. Here him sounding ill at ease and out of his depth with Count Basie! The recordings contained on this CD all illustrate better than any words that Bing swung naturally and mightily.